Stow the grass seed and remind your gardener to not mow your grass! 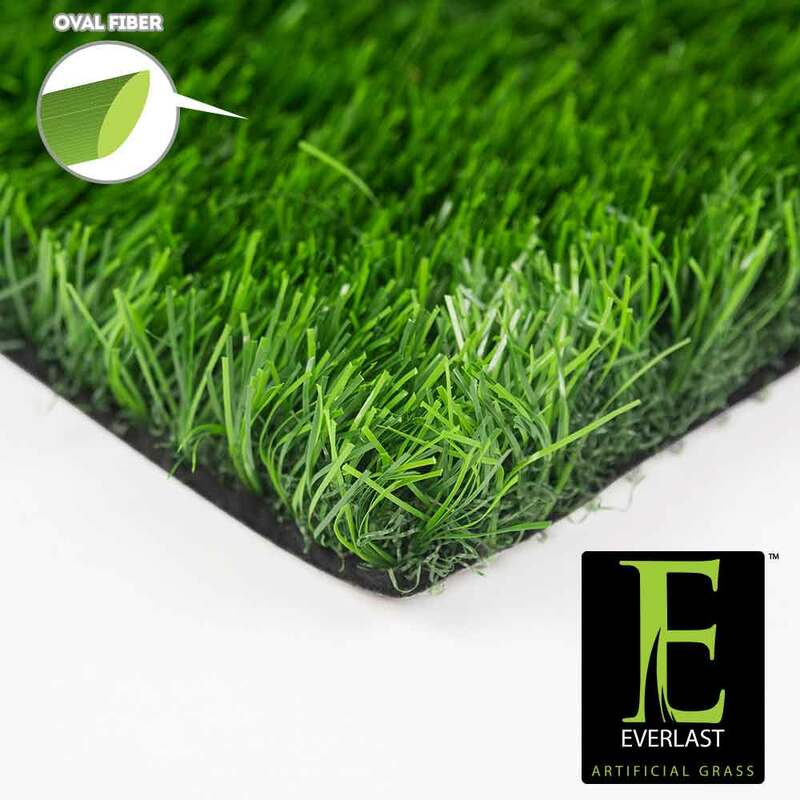 Everlast Turf Absolute synthetic grass is the perfect landscape alternative for any residential or commercial property! Absolute synthetic grass is designed to truly replicate a beautiful green lawn by featuring field and lime green blade color tones combined with a green thatch for a more lush appearance. This polyethylene synthetic turf is soft to the touch and features an extremely strong backing that has been triple reinforced to each grass blade through tuft bind technology. Absolute synthetic turf backing is also perforated to allow for easy drainage and clean up! This turf is a perfect landscape alternative for children and pets, as it is safe and non-toxic! U.V. inhibitors are incorporated into Absolute synthetic turf’s master batch, so you turf will never fade! This artificial turf is also heat and frost resistant, so no matter the weather condition, Absolute synthetic grass will last! Guaranteed by our 15 year warranty, Absolute synthetic turf is ideal for front lawns, backyards and commercial properties across the nation! Keep your landscape green with Absolute artificial turf!